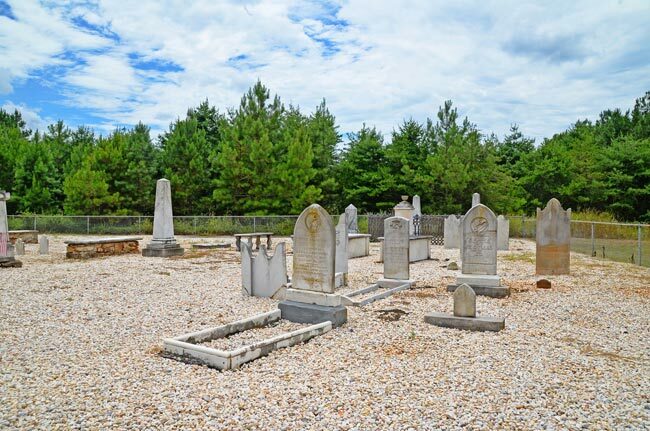 This modest cemetery in Summerton is the burial site of the Richardson family, which produced six South Carolina governors. 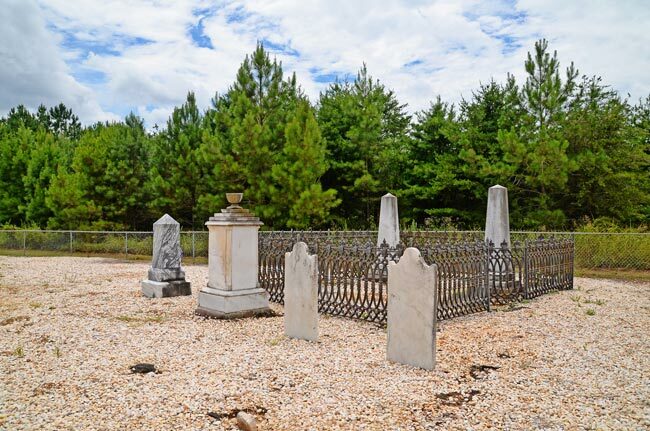 The cemetery predates the American Revolution and was part of the Richardson home site, Big Home Plantation. Patriarch Richard Richardson arrived to St. Mark’s Parish from Virginia in the 1730s and established the plantation on land granted to him in 1744. He later served as a Patriot in the Revolutionary War and was lauded for commanding the Snow Campaign of 1775, during which 3,000 militia troops thwarted Loyalist attempts at organizing. He was captured following the 1780 seize of Charleston. Shortly after his capture, Richardson was granted parole and sent home to be with his family due to his increasingly poor health. He died at Big Home, surrounded by family, and is interred within the cemetery. 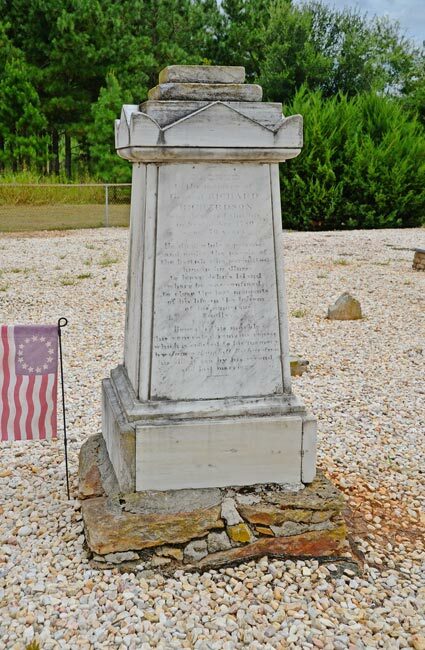 Local lore claims that British Lieutenant Colonel Banastre Tarleton came to Big Home six weeks after Richardson’s death, demanding to know the whereabouts of General Francis Marion. In an attempt to intimidate his widow, he exhumed Richardson’s body and placed it on display. Other accounts say he unearthed Richardson’s grave in search of family silver, while yet another version states that Tarleton forced Mrs. Richardson to dig up her husband’s corpse. 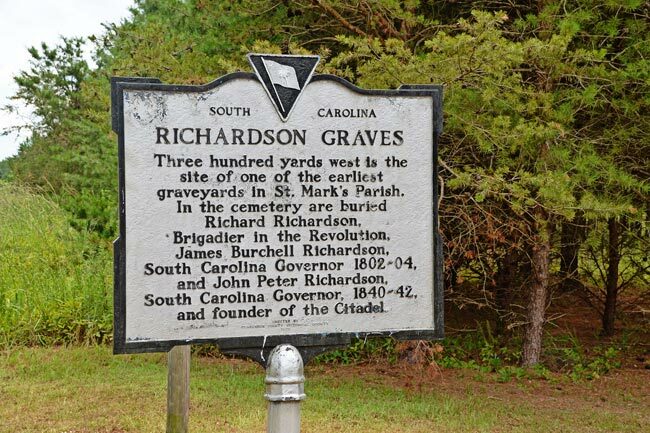 Also buried here are General Richardson’s son, James Burchill Richardson, who served as governor of South Carolina from 1802 to 1804, and his grandson, John Peter Richardson, governor from 1840 through 1842. John Peter Richardson was a founder of The Citadel. Other descendants of General Richard Richardson who went on to become South Carolina governors are Richard Irvine Manning, I, John Lawrence Manning, John Peter Richardson, III, and Richard Irvine Manning, III. The South Carolina State Waltz, called The South Carolina Waltz, is a song rather than a dance. It has been passed down through the Richardson family for 300 years. In 1985 a Richardson descendant, Mary Richardson Briggs, created sheet music for the tune, marking the first time the song had been translated to musical notes. The South Carolina legislature made the South Carolina Waltz an official state symbol in 2000. As long as you want to use the information and link back to us as the credited source, you are free to do so. Thank you! Delighted to discover this web page, very helpful. I am related through my mother, (1910-1998), a descendant of John Smythe Richardson IV and Mary Ellen Baker (1853-1946) of Sumter.